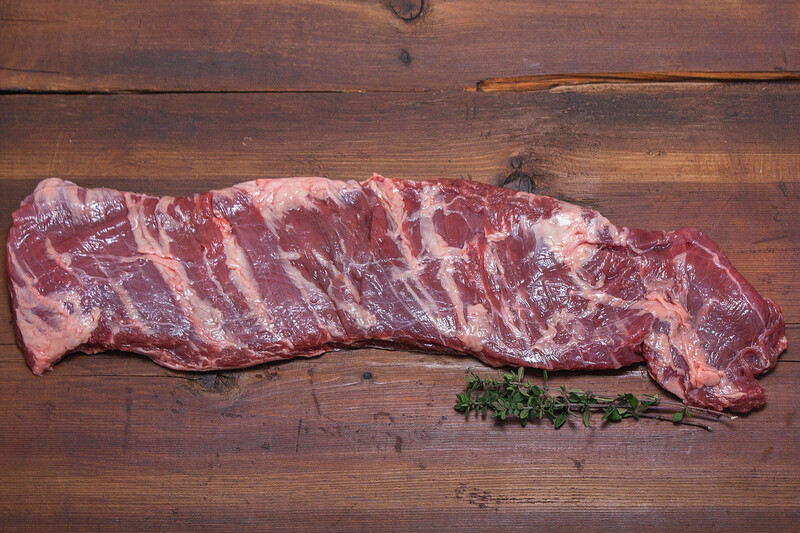 The skirt steak is a long, flat cut from the plate of the beef. It is more flavorful than tender, so it should be marinated in olive oil to encourage tenderness. Great for a variety of dishes - experiment!